platanos – Cooking with Gabi – all about integrating Fruits & Vegetables into your daily diet! Mother’s Day Picnic fare………hard boiled eggs with yumminess included! This post is for Miel, who fell in love with the flavor explosion from a simple yet delicious recipe for what to do with hard boiled eggs. A couple of weekends ago, as my A/C was being serviced, I was having fun in the kitchen. I hard boiled some eggs and took out the yolks. In a small plate I used low calorie mayonnaise with Dijon mustard, a bit of cumin (according to taste), black pepper and salt and mixed it well. I had quite a bit of cherry tomatoes, so I sliced them in half and I also found a little container of marinated olives, which I also chopped in half. I also found that I had some simple crackers, so I filled the eggs with this mixture….but as I took one last look in my fridge, I found that I had a small packet of platanitos….so I chopped one up in very small pieces, and integrated that into the egg yolk mix and placed that on the crackers, and used the sliced cherry tomatoes and olives for decorating purposes…..and Voila! 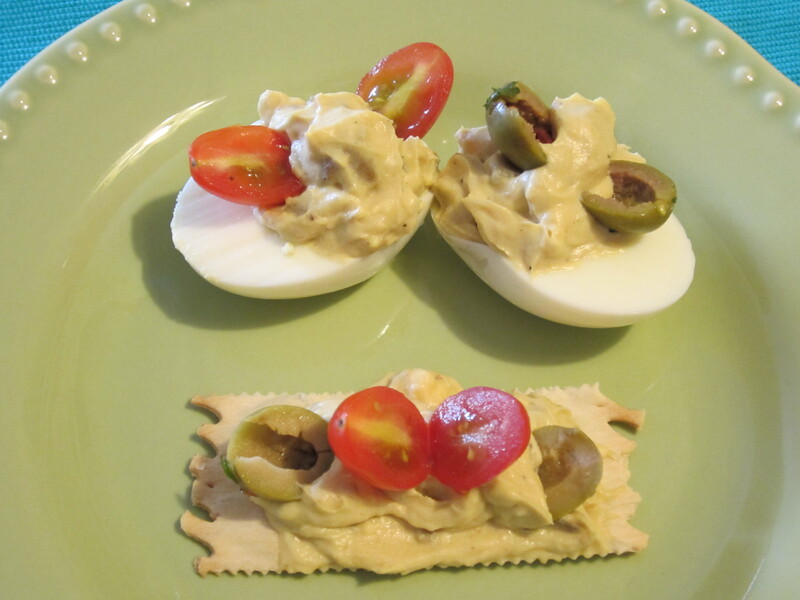 a new appetizer for a Mother’s Day Picnic! Do take a moment today to thank your mother…..
Children are a gift from the Lord; they are a reward from him!